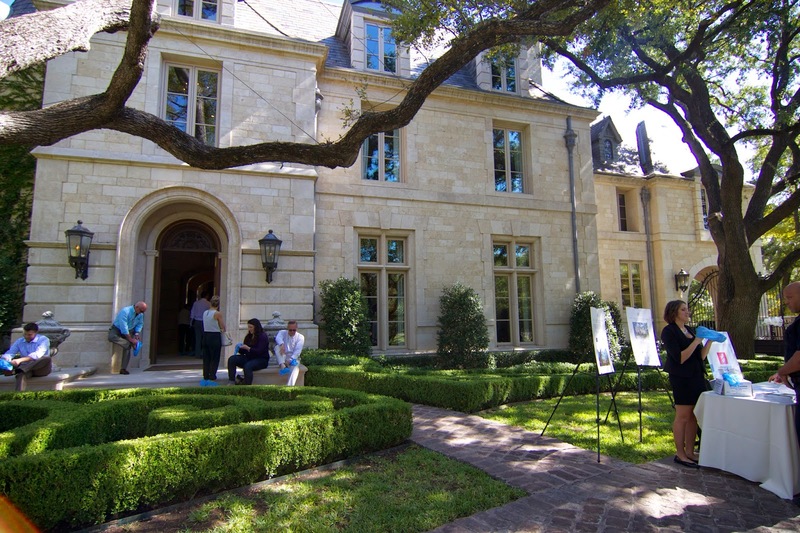 A few weeks ago I had the privilege of going on a Home Tour in Dallas by the Institute of Classical Architecture and Art. 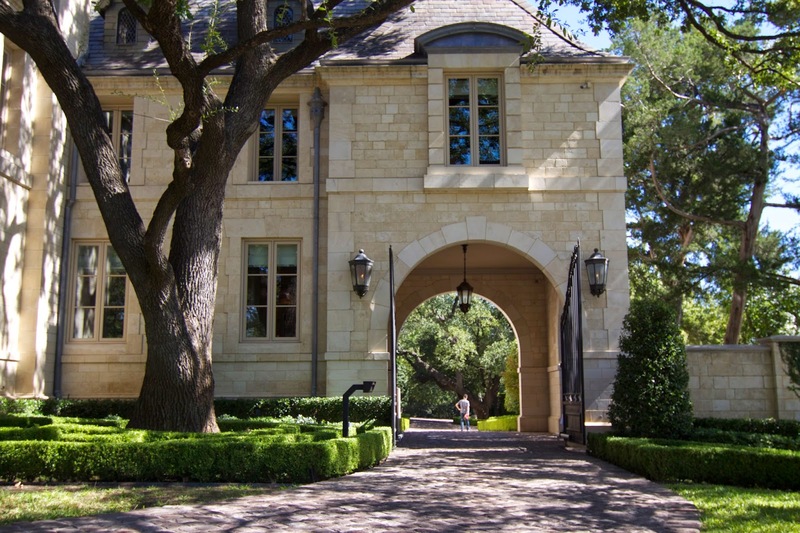 Every year the ICAA holds an Architectural Symposium for the state of Texas and this year was a splendid line up of events. Friday night started with a tour of The Old Parkland Hospital showing an example of classical design in a commercial application. 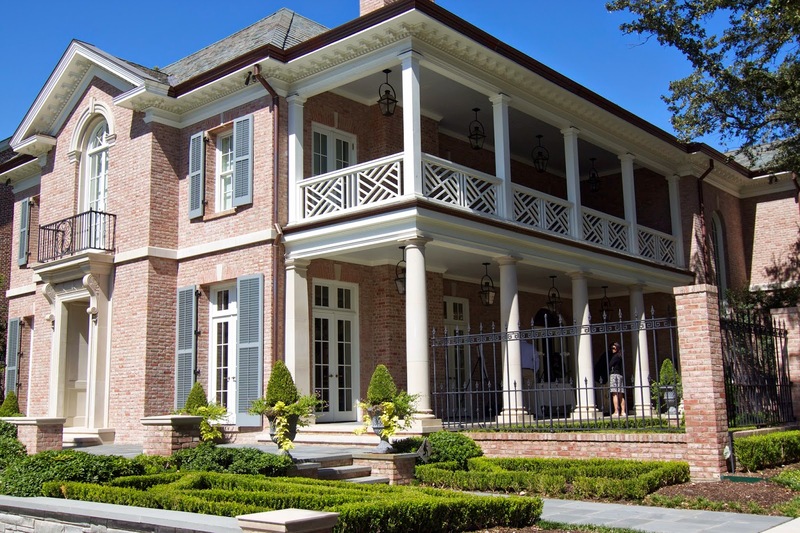 Saturday morning was a brilliant lecture by Erik Evens on the language and rationale of classical architecture called The Classical Primer held at the Bush Library followed by a tour of 3 prestigious Dallas homes. 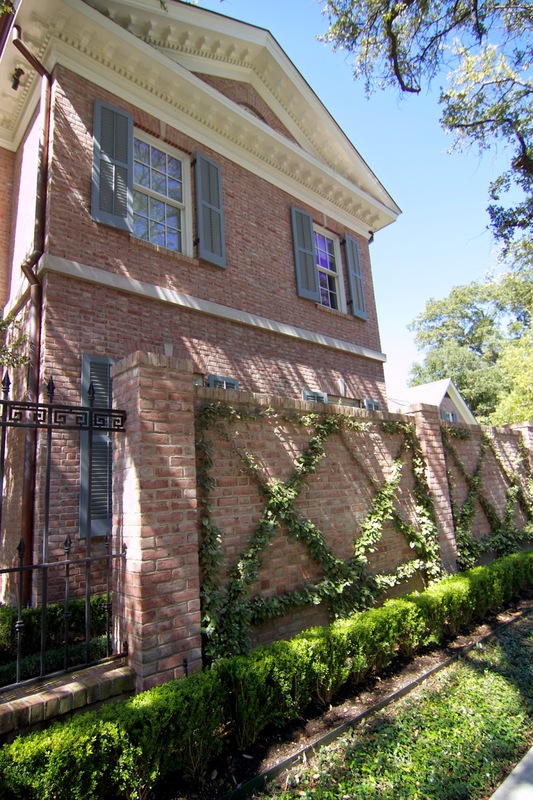 Today I'm going to show you the exterior of these homes on the tour. It was a member's only tour which is one reason I'm an ICAA member because we get the privilege of special engagements such as this. 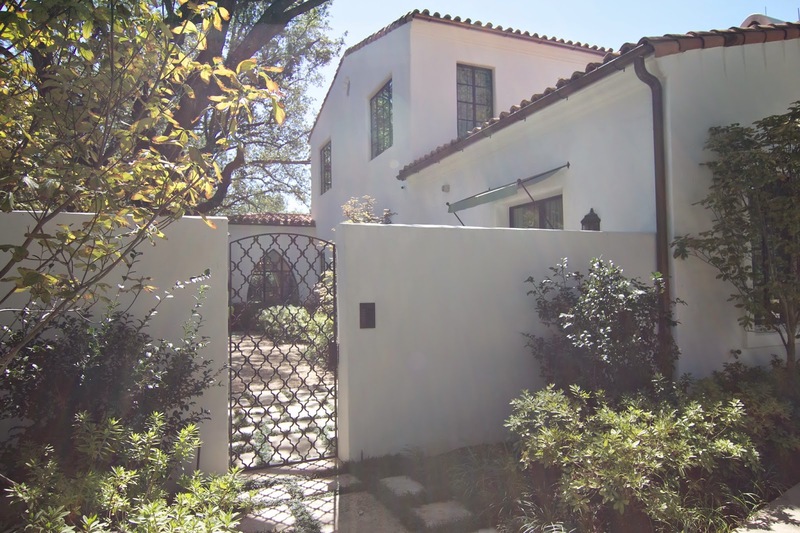 This first home was by Larry Boerder of Larry E. Boerder Architects and Interiors. Interior Designers were Kirsten Kelli and Elizabeth Robertson. 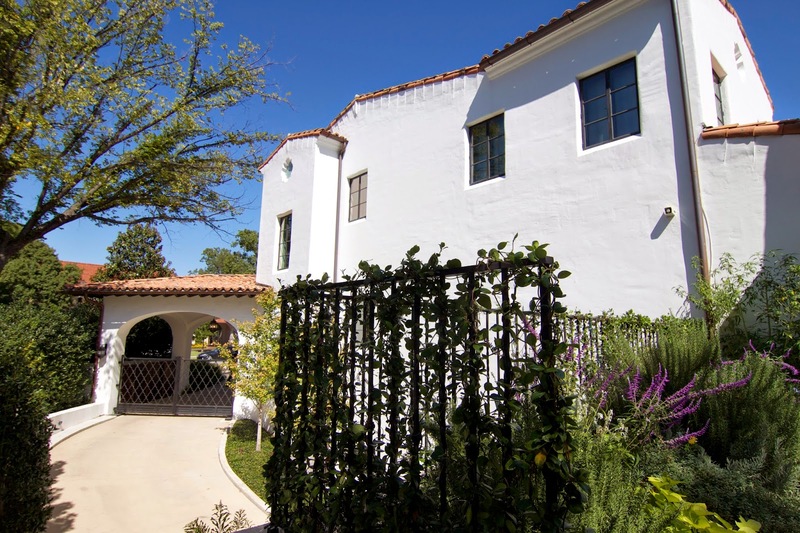 Landscape Architect was Todd Roberts and the Contractor was Pencil Point Contractors. 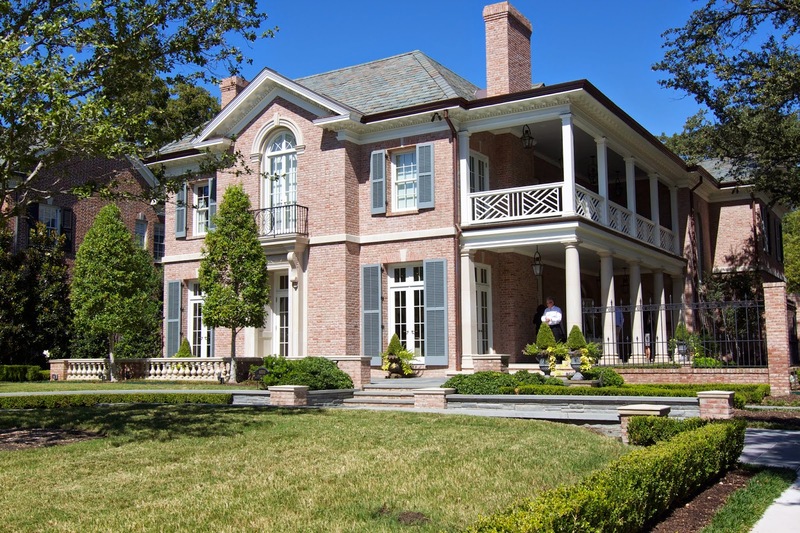 This Charleston style home is classic inside and out and designed with taste and dignity. 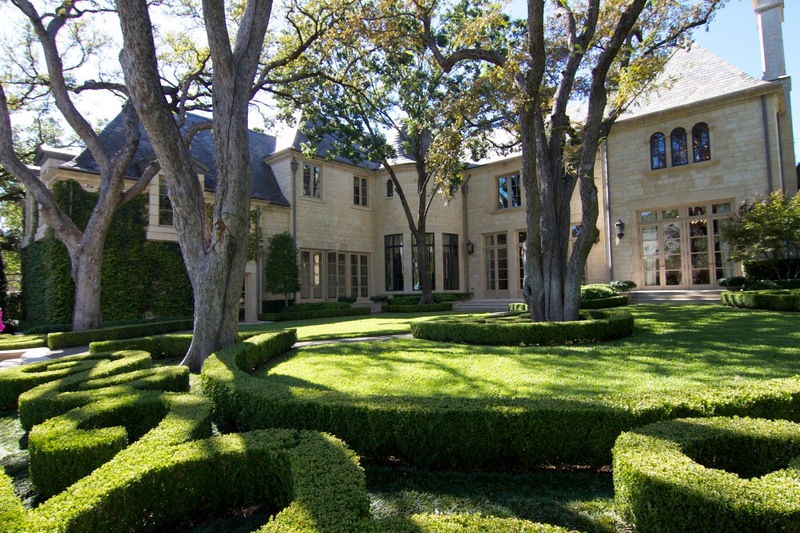 This home is also featured on Larry E. Boerders Architects and Interiors website here. Details, details, details. 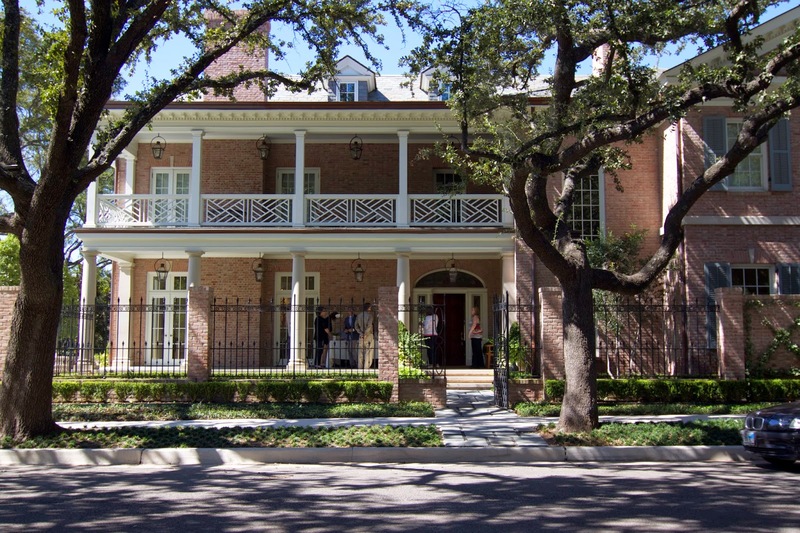 From the copper piping, classical moldings, limestone accents, everything was carefully designed and chosen. 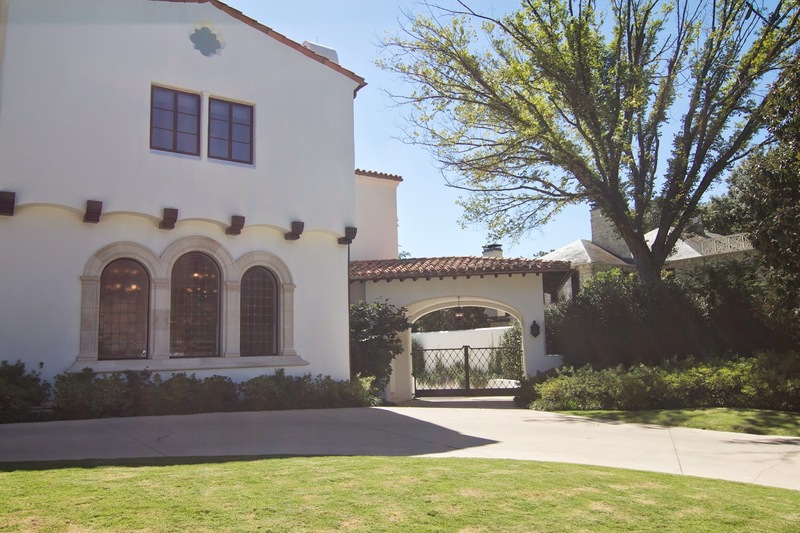 Here you see the main entrance that immediately greets you with a winding staircase and gorgeous antique center table full of coffee table books. If you look closely you can see the window behind the tree on the right hand side which graced the staircase with lots of natural lighting. The landscape was the perfect compliment to the architecture. Look at the second story porch in the backyard that's screened in. I also really liked the blue colored shutters which had a hint of gray to them. A close up of the details and the ivy pattern on the brick. Look at how the diagonal is repeated in the landscaping here again. 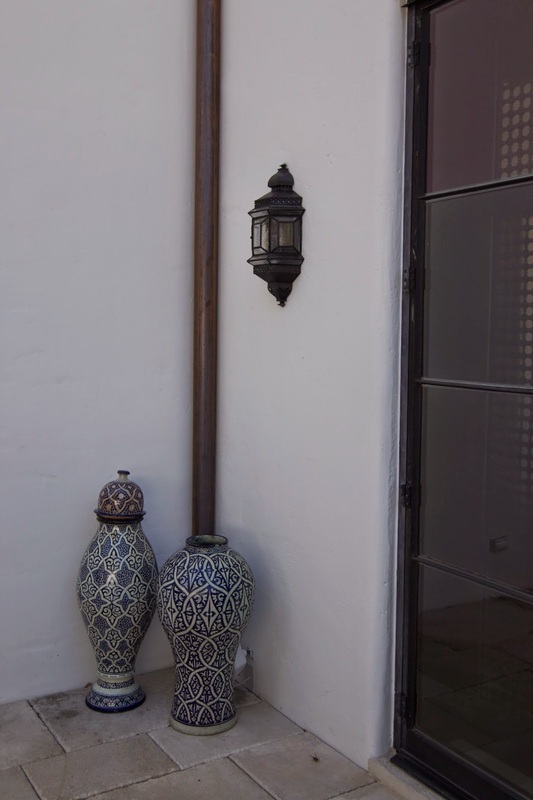 I also loved the light fixtures on the porch pathway. I did a blog post on the designers Kirsten Kelli here if you want to check out their work that I featured. I loved the interiors in this home. They were classic in nature but edgy in accents and lines of furnishings. Art created a contemporary pop against traditional moldings and antiques were sprinkled throughout while mixed with fun materials like bright orange leather end tables in the sitting room. The blue shutters complimented the stone pathway here. This entrance lead you to the formal living room. 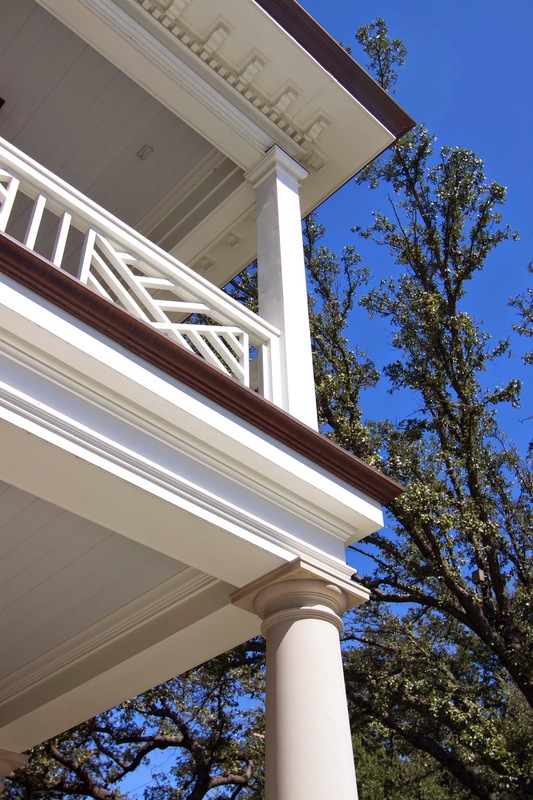 The ceiling color here was slightly gray and I loved how it was subtle but an added touch to the dimensional layering of the porch. This picture is a perfect example of what we studied in our Classical Primer class led by Erik Evens. Thank you Erik Evens for presenting a masterpiece class for the Symposium. I learned so much and the class greatly enhanced my love for studying classical design. Erik Evens amazing work can be seen on his website here. 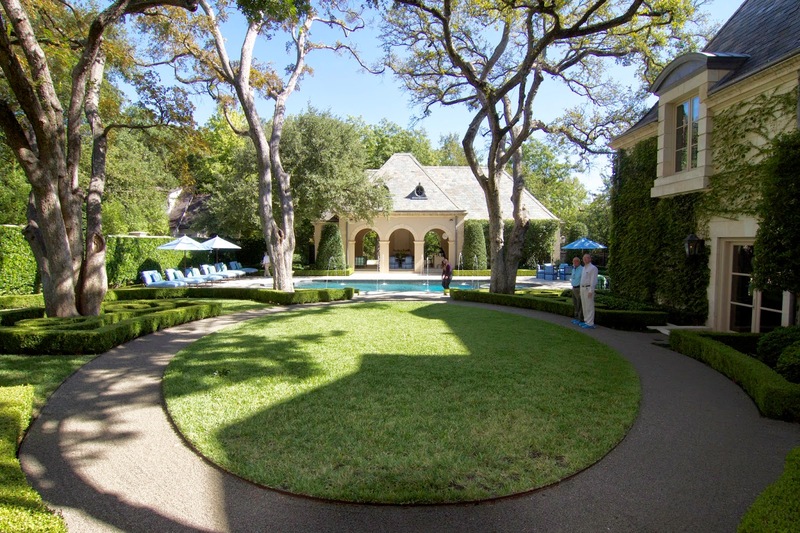 The second home we toured was by Appleton and Associates. Emily Summers did the Interior Design and was actually here with the owner to answer any questions. 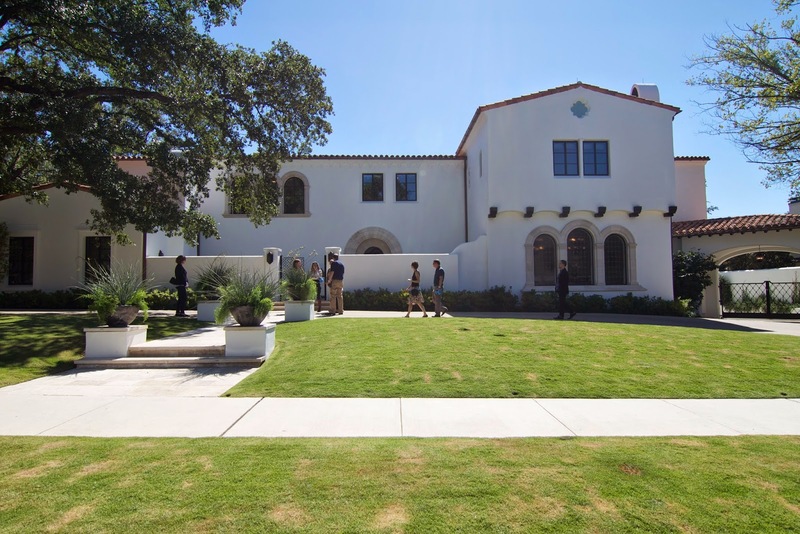 The Landscape Architect was Appleton and Associates and the Contractor was CEB Construction. Once again, the details on this home were so outstanding I was rapidly trying to take them all in but every time I turned around something new and exciting caught my eye. Emily Summers did an amazing job making this home not only unique to the owner but extremely creative and cutting edge through interior design. Check out more of Emily Summers work here. Appleton and Associates website is here. I had the privilege of hearing Marc Appleton speak at an ICAA meeting last year and then seeing his work in person was the icing on the cake. I would not be surprised if this home is not in a major publication soon because it was perfection through and through. 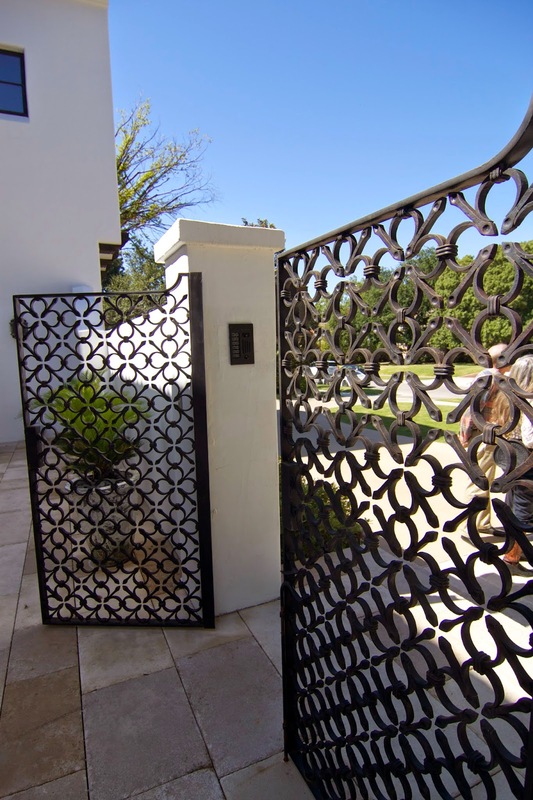 Look at the gate design. 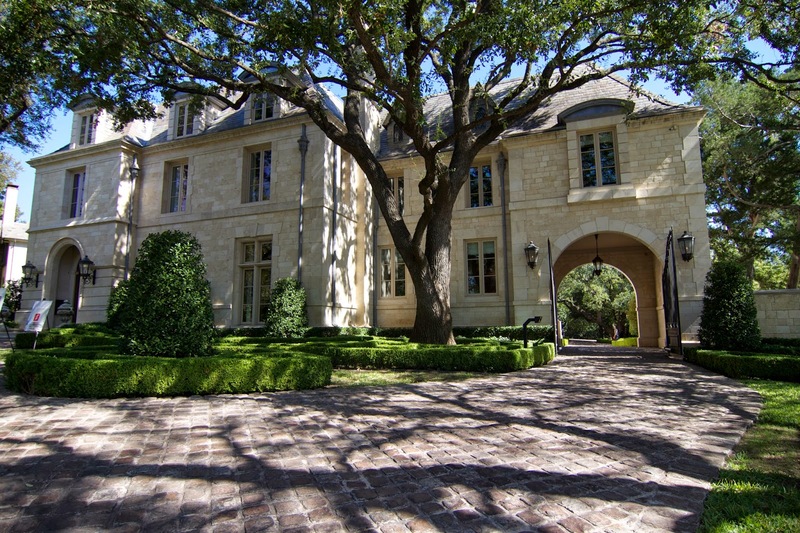 It served as a marker for an exclusive entrance. 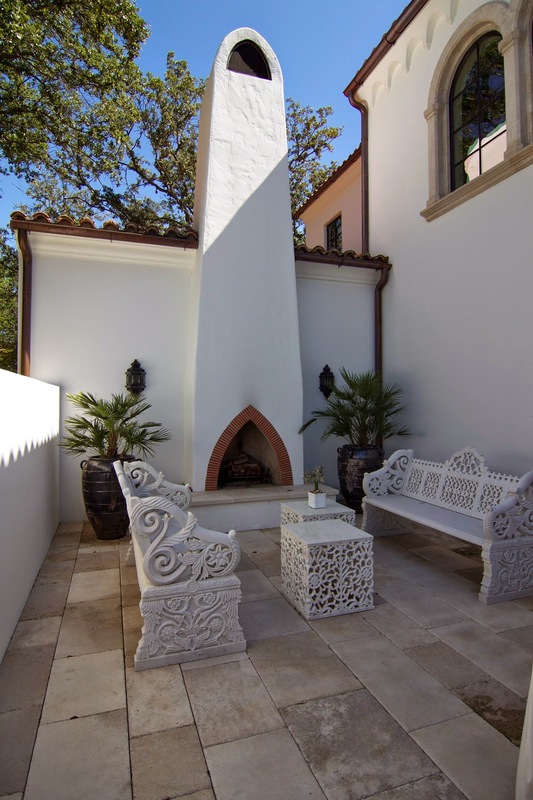 After walking through the gate you were greeted by this seating area adjacent to the front door. The carving on the furniture is just a foretaste of the scale of carving and detail throughout the home. 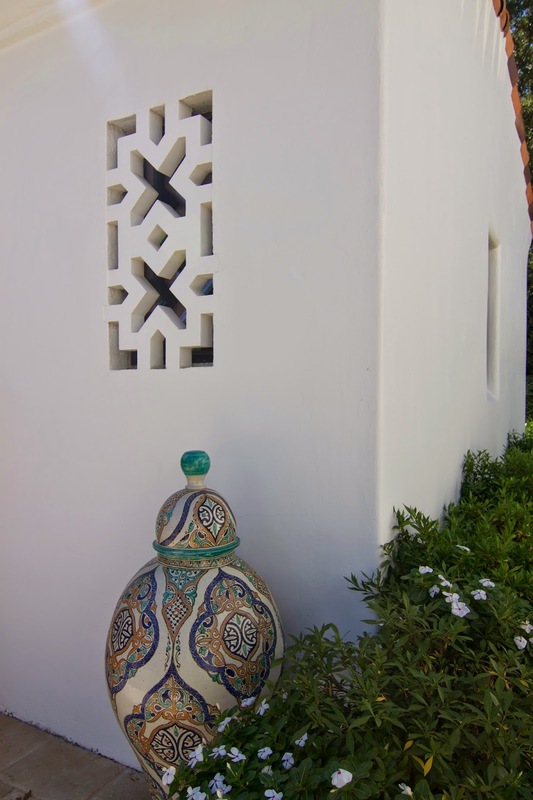 Every thing inside was carved and custom created to marry with the walls and ceilings of the interior. Opposite the seating area and front door I wanted to show you the beautiful stone floors, copper pipping, sconces and window details. This large window was actually looking out from the dining room. 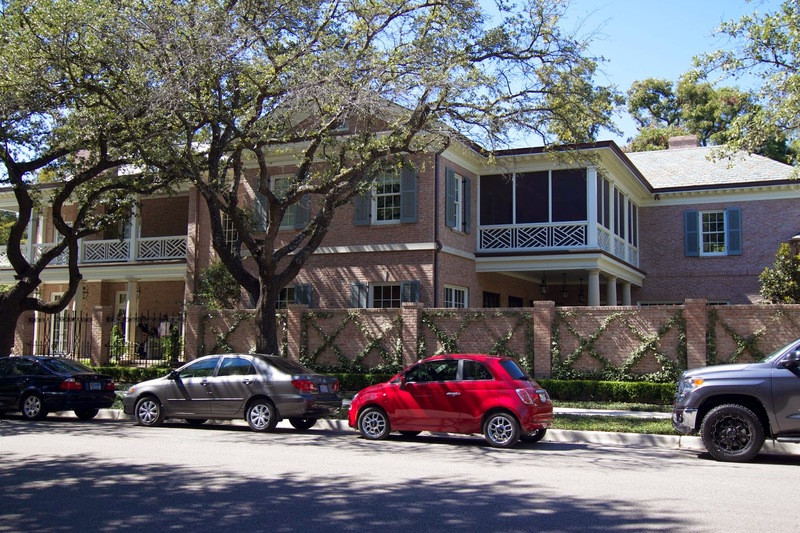 A look at the home from the street. 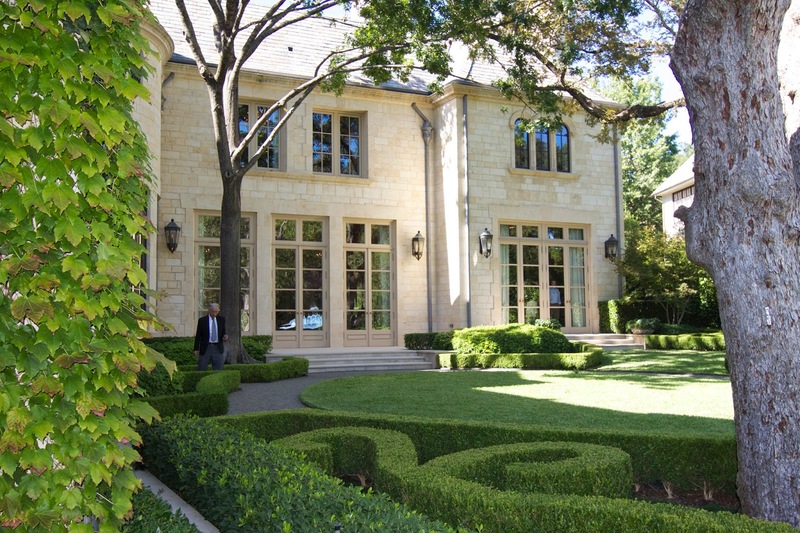 Appleton and Associates made this home look as if it was grown in California and transplanted here in Dallas. Upon setting your foot on this property you were definitely taken into another world and the interiors further confirmed that same experience. 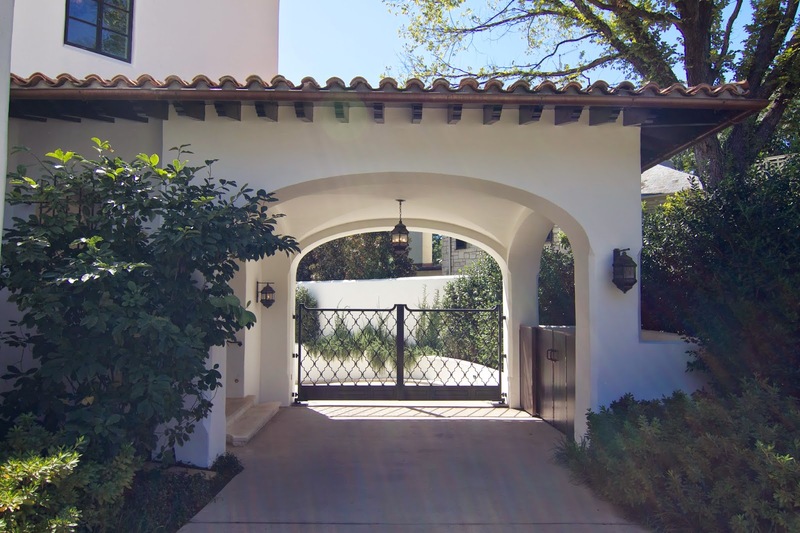 The strong white and smooth texture of the stucco contrasted with the adobe roof and black iron accents in the most complimentary way. I loved this side entrance. 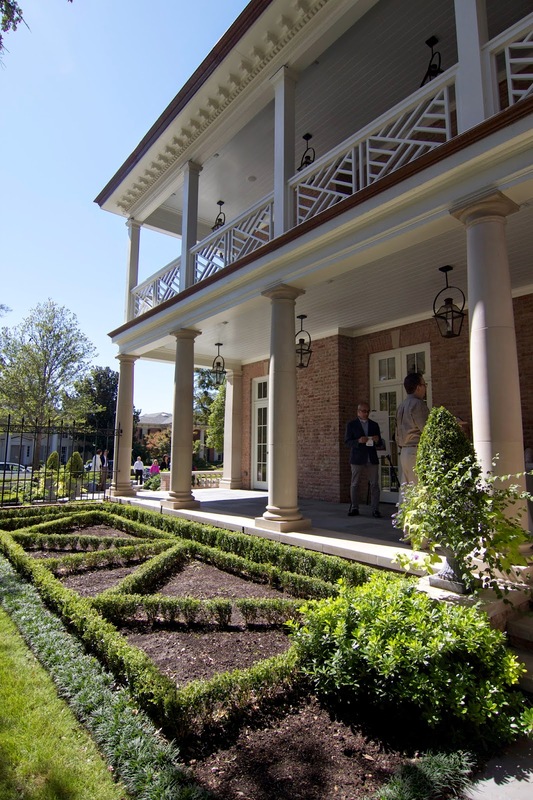 The landscaping here, as you'll continue to see, was perfectly chosen to compliment the architecture. The other side entrance in the front was a smaller gate leading to the backyard and side courtyard. A children's play area was equipped in the most tasteful way. After going through half of the downstairs you were lead outside to a whole other dimension. Dallas was gone and the Mediterranean greeted you. 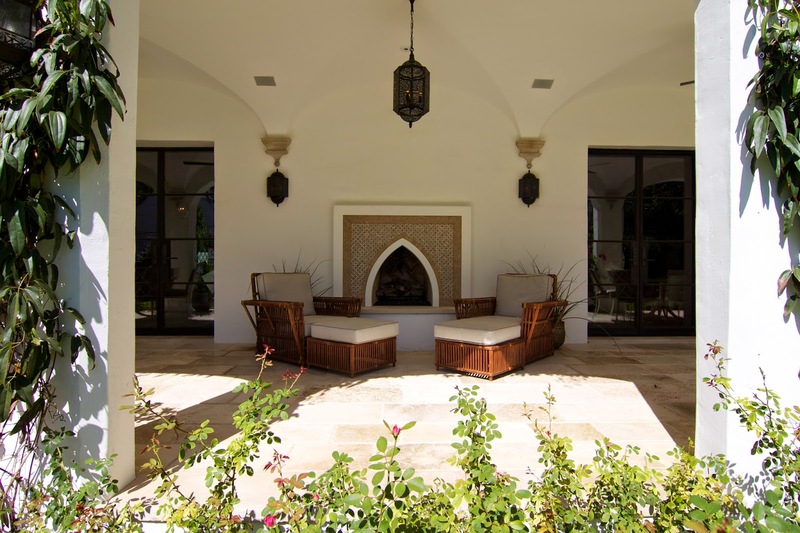 Inviting seating zones and cabana areas with once again highly customized arrangements, tile work and materials that created outdoor/indoor spaces that invited you to lounge and relax. 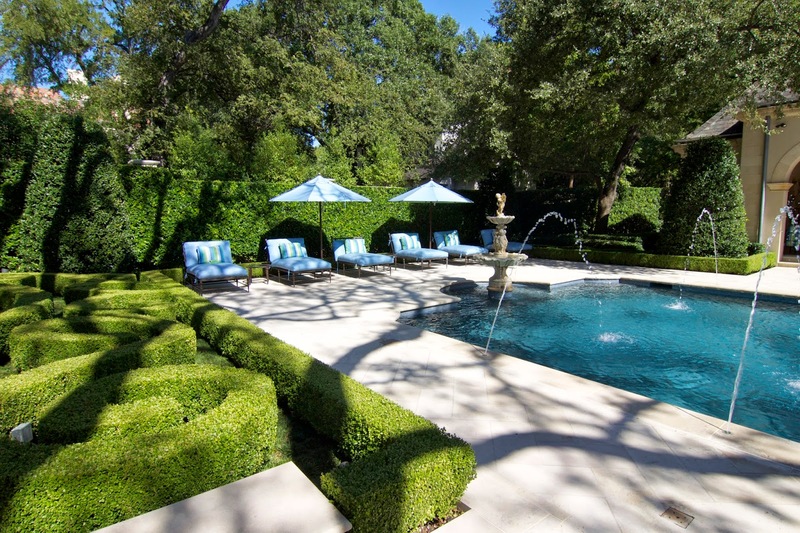 The pool was seamlessly interwoven into the landscape. 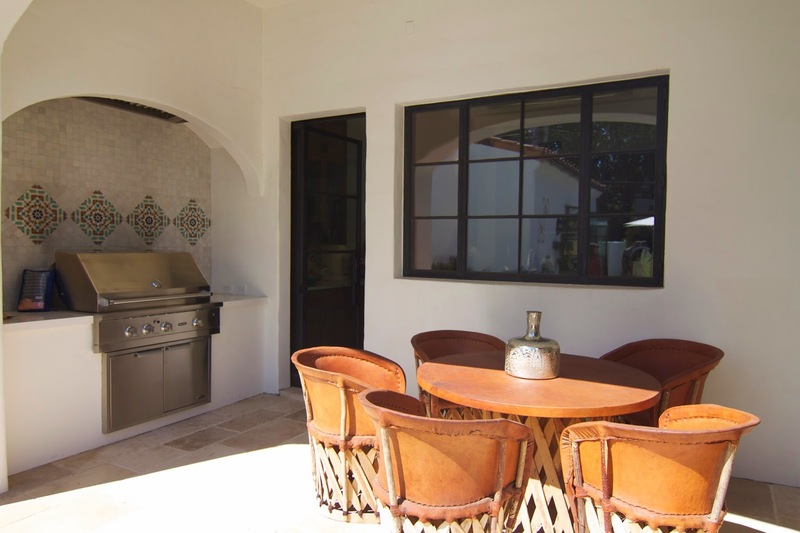 Outside the kitchen was this wonderful outdoor cooking zone with fabulous tile work on the walls and I loved the Equipale chairs and table. 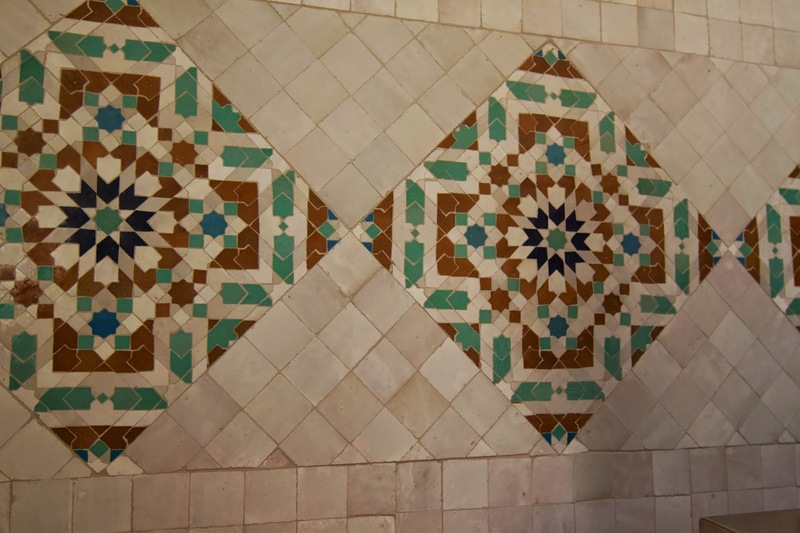 Here is the tile work up close. A perfect example of the language of detail throughout the home. Looking from the pool house to the back of the house you see the layers and three-dimensional intersections used to design this home. The seating zones were uniquely different to compliment their function. 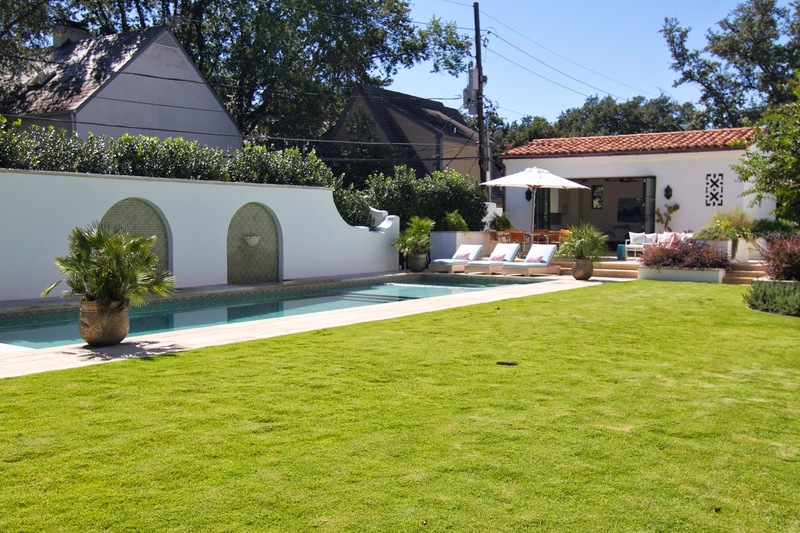 Here is the open pool house. 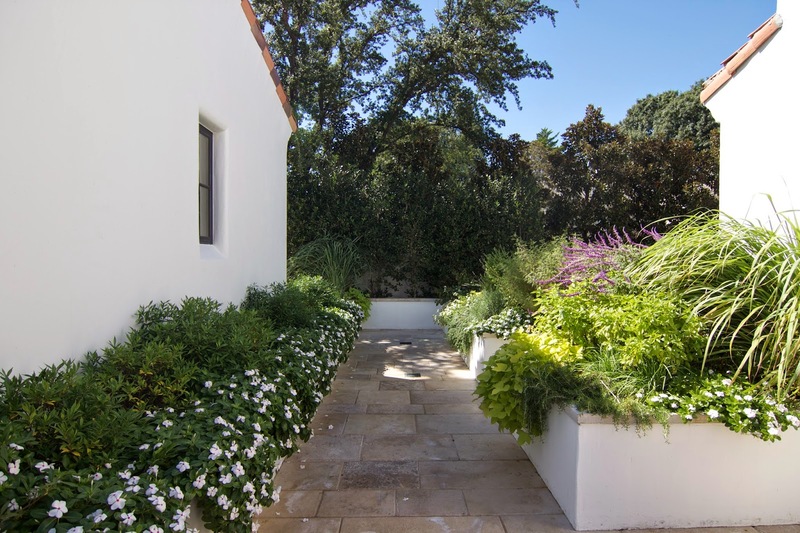 This pathway on the side of the home was filled with herbs and created an oasis all of its own. 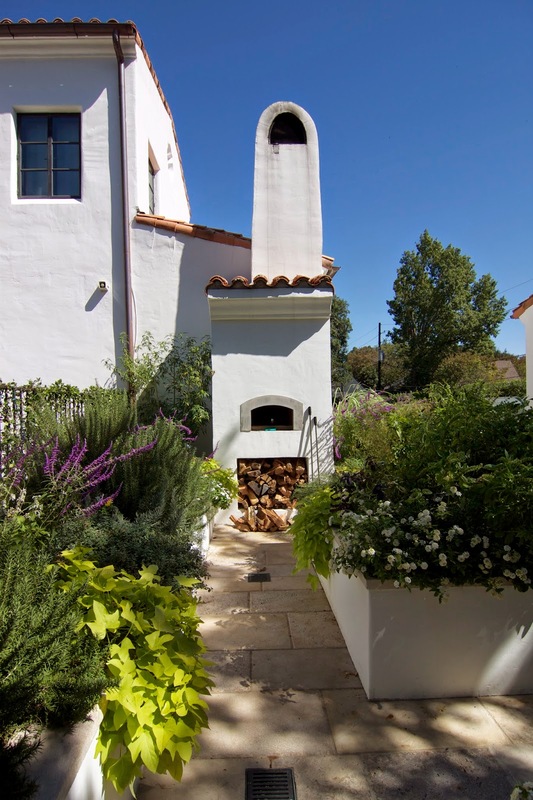 I loved this wood burning oven amidst the garden area. 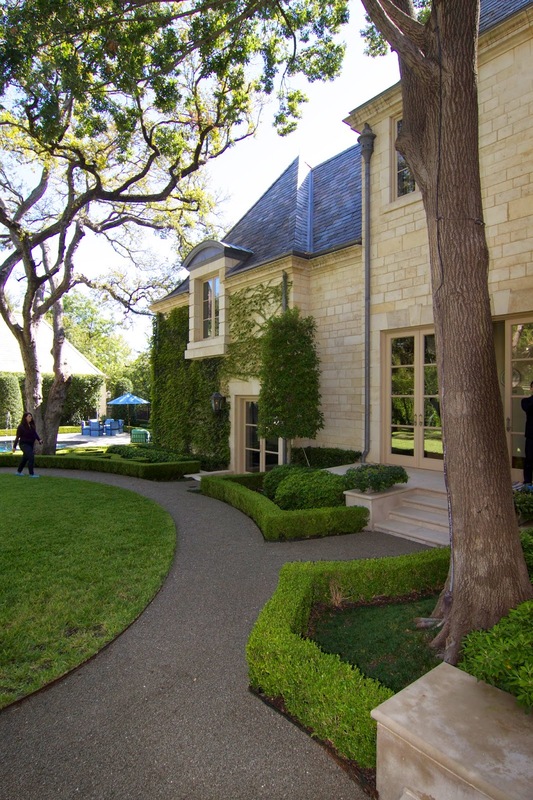 That same garden overlooked the driveway courtyard. Such great views here. 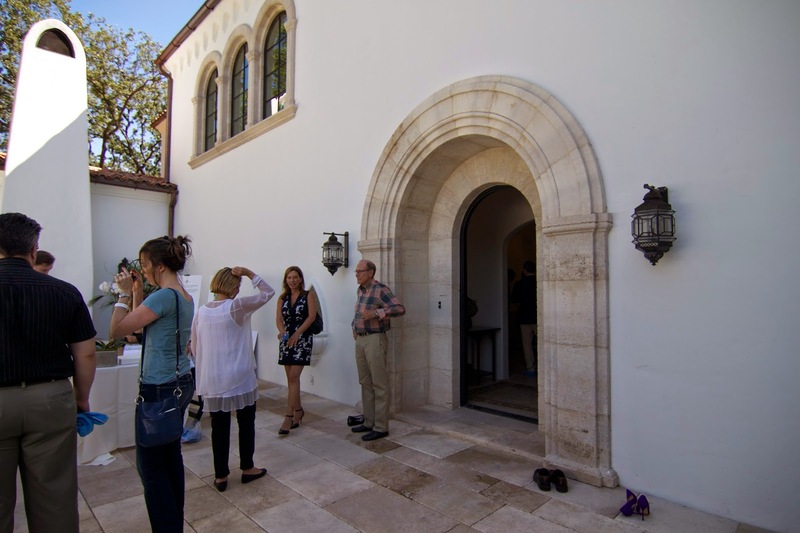 Last but certainly not least was the third house on the tour with Larry E. Boerder as the Architect, Betty Lou Phillips as the Interior Designer, Harold Leidner as the Landscape Architect and Sebastian Construction Group as the Contractor. I was not allowed to take pictures of these homes on the inside but if you want to see some interior photographs you can visit Sebastian Construction here or Betty Lou Phillips here. 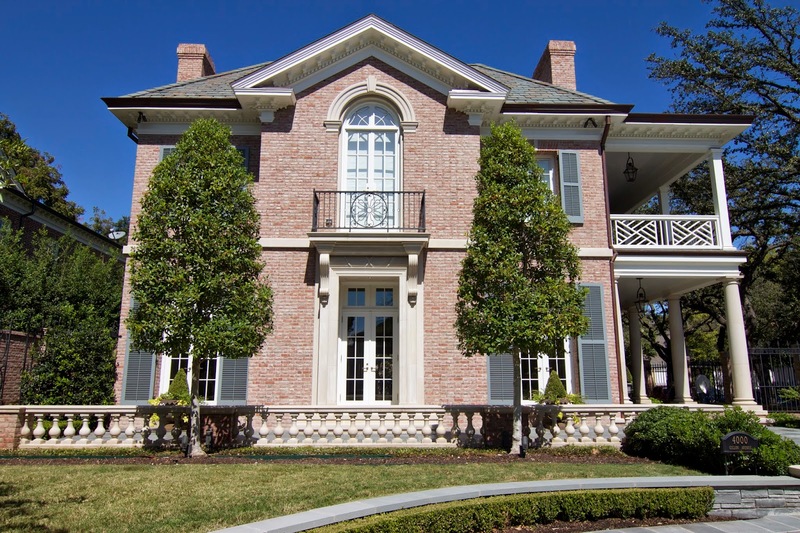 Grand and stately properly describe this beautiful residence. Of course that's what you get when you combine Larry Boerder, Betty Lou Phillips and John Sebastian. The trees on this property made this residence feel like it had been here forever. Properly situated on the site, Larry Boerder perfectly places each home I've seen in such a way that it brilliantly provides just the right views and landscape opportunities. 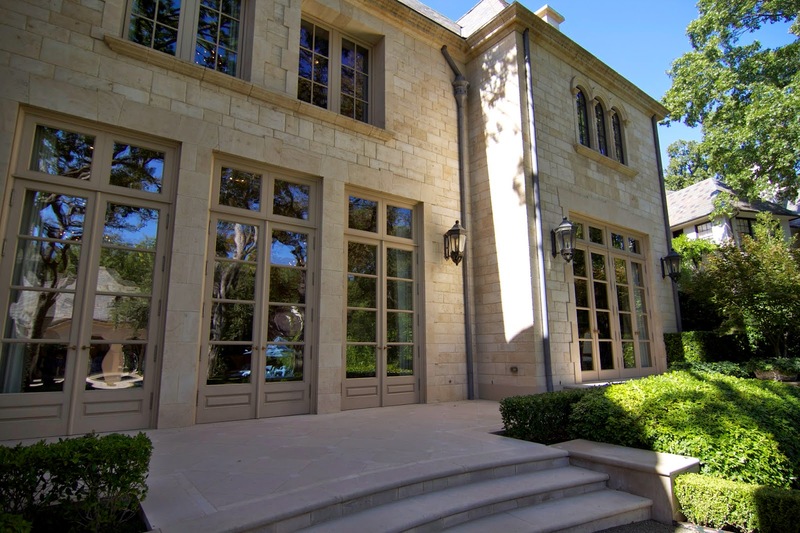 Stone facade and transom doors. 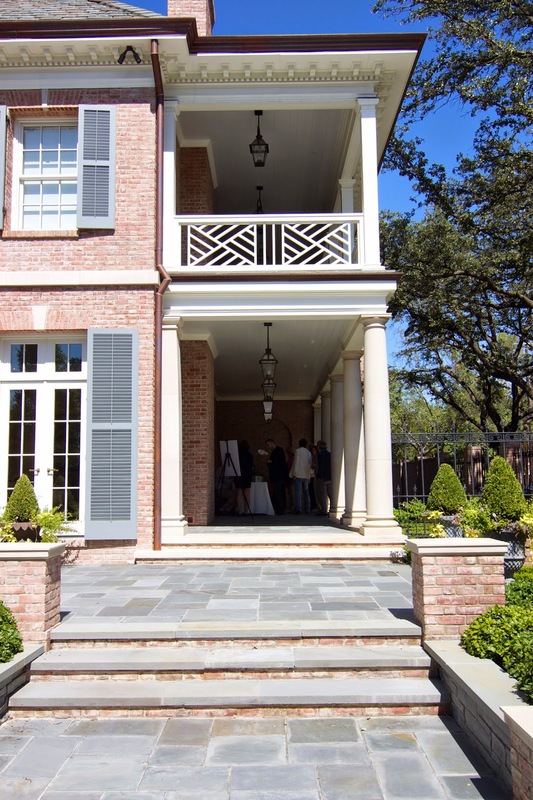 This home was extremely elegant but very approachable. 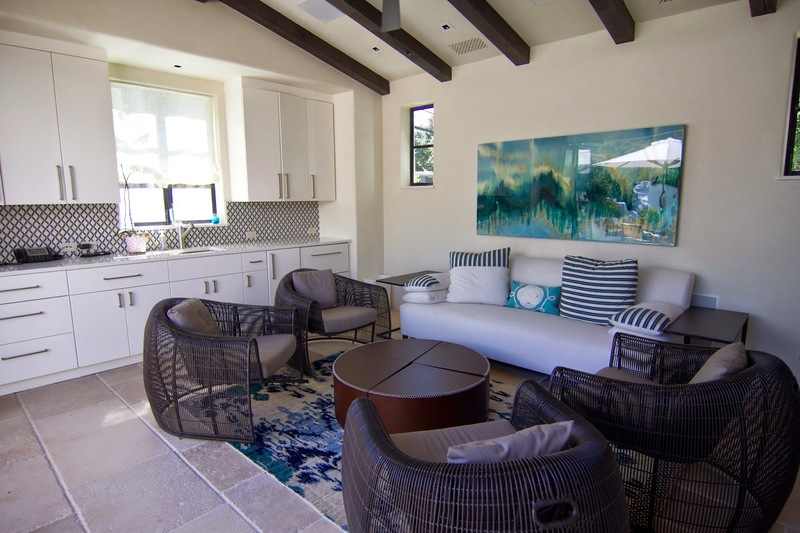 Larry Boerder graciously provides symmetrical spaces that are not only formal but comfortable and meaningful. I loved this circular design. 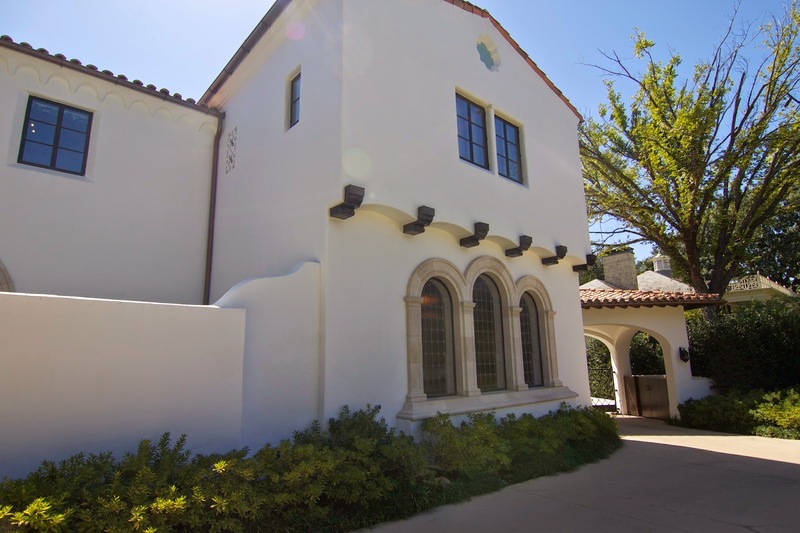 The windows and doors provided so much light and character to the home. 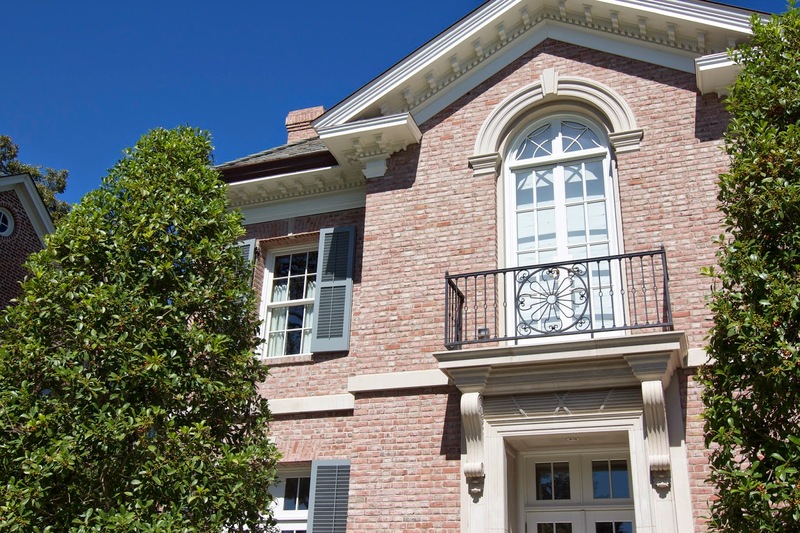 The slate roof and carefully selected pipe details added warmth and contrast to the natural stone facade. I loved the blue cushions and umbrellas that kept the accent color monotone along with the blue water against the green landscape and natural stone materials. Look at the gorgeous formal french landscaping. 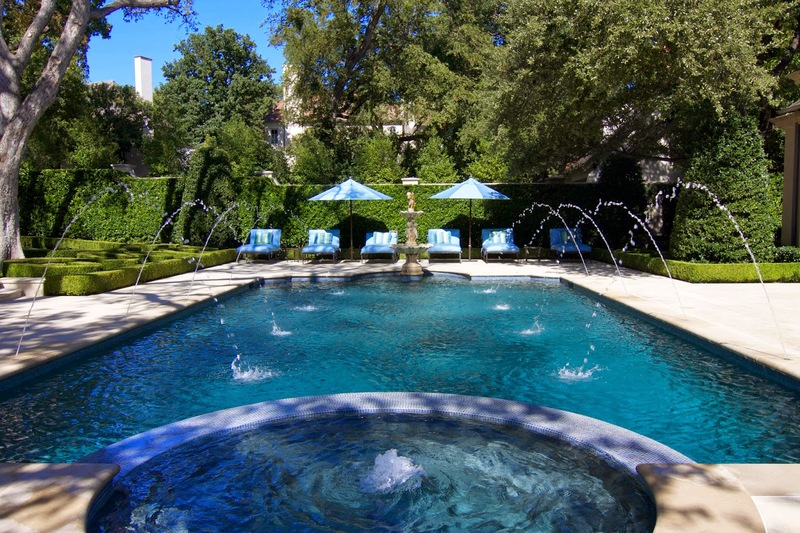 The pool was elegant and formal with its symmetry and fountains. 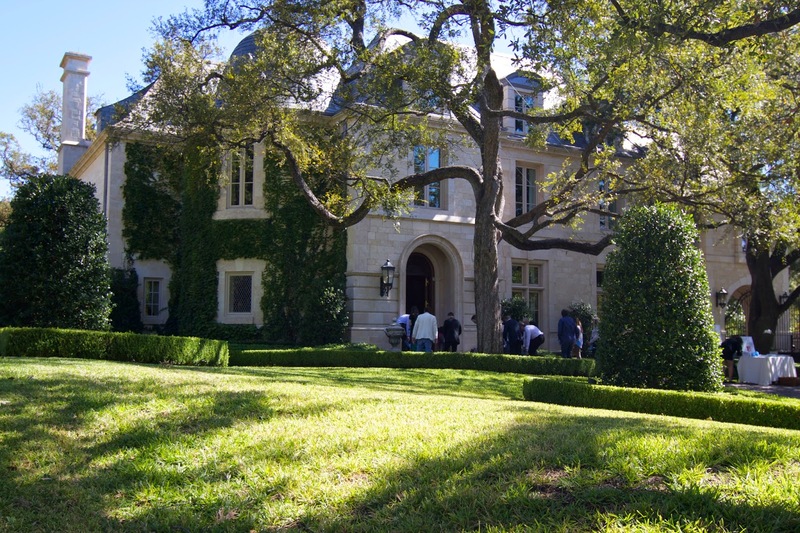 The grandest of home tours I've had the opportunity to be apart of, John Sebastian and the Dallas ICAA did a fantastic job of putting together an educational Symposium for Texas for 2014 that included classical examples of commercial design, residential design and a fantastic CEU course. To find out more about the Institute of Classical Architecture and Art go HERE.